Do Your Pimples, Blackheads And Spots Keep Coming Back? Acne is the term for pimples, blackheads, white heads and sore inflamed skin on areas such as the face, neck, back and chest. Acne effects 80% of the population from the age of 11 onwards and can be worse for people who genetically may gain spots, pimples and acne due to parent, grandparent or even great grandparents. Acne Vulgaris is very common in your teenage years to experience and normally will move on like your crazy hair do’s however many adults get acne in there 20s – 30s which can be depressing. “How can I Prevent acne from coming back” is a common question I get and in order to prevent acne we need to know what causes acne and the main cause is sebum, which is basically an oil that is used to keep your skin fresh, soft and from drying out, and irritation/bad habits can cause acne breakouts. Sebum is produced by a gland underneath your skin called the sebacous gland, the sebum then rises up through your pores (pores look like holes, see picture for idea) and on to the surface of the skin. In the process the oil carries out bacteria and dead skin cells to stop the pores from clogging up/becoming infected. Sometimes dead skin cells can get trapped in these pores or extra oil can stick together with the dead skin cells to block the exit of the pore, this causes a blemish which will turn into a pimple, white head or blackhead underneath the skin. These can naturally happen depending on how much oil your face produces however they normally will stay under the skin until disturbed, put pressure on or touched (irritated). So, you want to reduce your sore skin, reduce the redness and possibly watch it go away in days. Well your in luck and I may just be able to help you. Here are some key things you want to do to prevent acne for free. Scrub your face until it goes red and angry? Hm mm well obviously not in fact you want to avoid washing your face more than twice a day, Morning and night. This is because your skin is very sensitive with acne and can become inflamed just by touching it so when washing or using a cleanser on your face be as gentle as you can and do not push, rub deep or even rush. Washing your face more than twice a day will wash away the oils to much where they will not be able to remove the dead skin cells and bacteria from under the skin resulting in…. You guessed it. Acne Breakouts. Itchy spots or lump, give them a quick itch no one is looking? NOO! As I mentioned before your skin is very sensitive a bit like an wild angry tiger. If you poke, touch or get close that cat its going to scratch. Your skin has millions of dead skin cells laying on the surface of the skin and by itching, touching or rubbing you are pushing those skin cells into your pores potentially blocking the oils escaping resulting in more pimples forming. Keep you bed sheets and pillow cases clean (change regularly) and if you have an animal avoid letting them sleeping on your bed. This is because animals naturally shed hair into the atmosphere and those hairs can get stuck to your face causing infection and leading to sore bumps on acne prone areas. Hot, Sweaty and Relaxing. A Sauna can help, try using a sauna to help bring out trapped oil in your skin every now and then. The right cleanser, or face wash for your unique skin. Keep clean and your acne will too. In Conclusion everything we have spoken about is simple, easy and free to do. 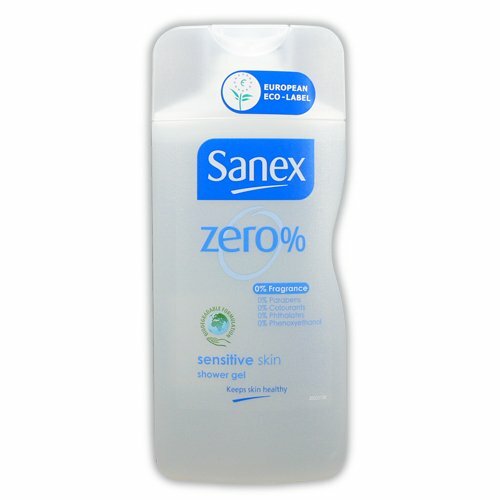 However I strongly suggest you try Sanex out or any other product that is for sensitive skin and only use it once a day. If your looking for a completely free and natural way to cure acne then THIS Article will help you further and will benefit you greatly if you definitely really want clear skin. Keeping the animals out of your room cannot be to hard and cleaning your sheets every week is not a hard task either. Just avoid touching your face in general, use the mild shower gel Sanex on face in the shower (to prevent irritation) and you, your friends and family will see a noticeable difference in your skin. you’ve got a terrific blog here! would you like to create some invite posts on my weblog? Hello! I just would like to give an enormous thumbs up for the excellent information you’ve got here on this post. I will likely be coming back to your weblog for alot more soon.